Robert Henry Spencer was born in Linton in 1884, the son of James Henry and Keyia Spencer. Robert was one of a large family with brothers Willie, Harry, Tom, John and Hartley and sisters Sarah Jane, Mary and Maggie. On the 8th April 1911, Robert married Annie Mathewson in Cross Hills and they had two children, Winifred and Amy. At the 1911 census day, Robert was living at Low Close, eastburn, Keighley with his parents. His father was a farm bailiff, Robert himself was a farm labourer but most of his siblings were working in a worsted factory. Robert enlisted on the 30th November 1915 and was mobilised on the 28th July 1916 in Halifax as Private M2/200621 in 650 Company Motor Transport of the Royal Army Service Corps, a unit he joined on the 23rd September 1916 after some basic training. Robert served with this unit until, on the 8th January 1918 he underwent an operation for appendicitis. He spent some time recovering until the 7th June when the Army decided he was no longer fit and he was discharged under King's Regulations section 392 sub paragraph xvi as No Longer Physically fit. 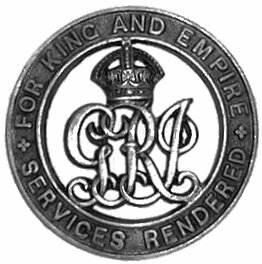 He was awarded a Silver War Badge to mark his service.